Our family holiday house is a warm spacious home with upstairs floor (balcony) overlooking open plan living area and kitchen with dining table and comfortable bean bags to lounge about in. There are 2 toilets (one upstairs and one downstairs). Hi, I grew up holidaying in Te Anau so it was only natural to buy a holiday house in beautiful Fiordland which we did 2 years ago. My husband and I travelled (backpacking mainly around Australia, UK, Europe) pre children and hope to travel again when they are too old to hang out with Mum & Dad. Its only a short walk to the lake and to the town centre so central to restaurants and cafes. Clean,quiet,well equipped, plenty of room,close to town and walking tracks. Nice neighbourhood. This property would be great for a large group. There were only two of us and we were very comfortable. Situated on a suburban block within five minute walk to the main street. We really enjoyed our stay. 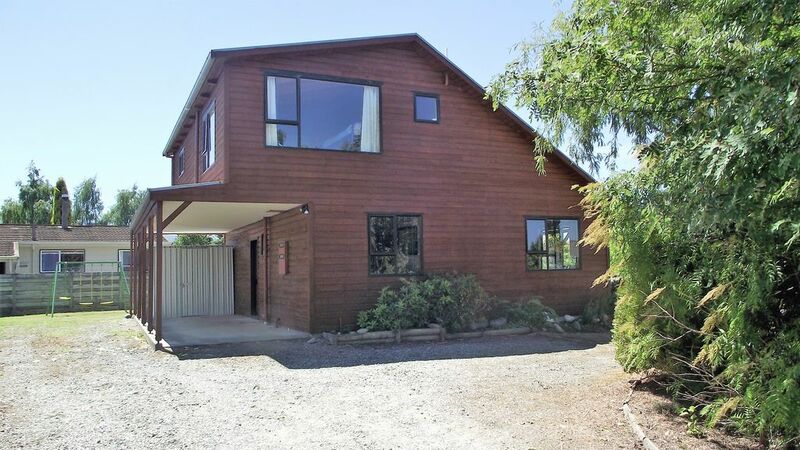 The Bach was very clean and comfortable and only a short walk from Te Anau central. Would stay again.